US researchers have identified a protein, which they believe is a universal therapeutic target for treating a number of deadly human diseases. They used a drug combination which included Viagra to effectively target the protein. Researchers at Virginia Commonwealth University (VCU) have figured out a protein - GRP78 - that may be a possible target to rid humans of such viral and bacterial infections as Ebola, Influenza and Hepatitis, as well as be a way to cure brain cancer. 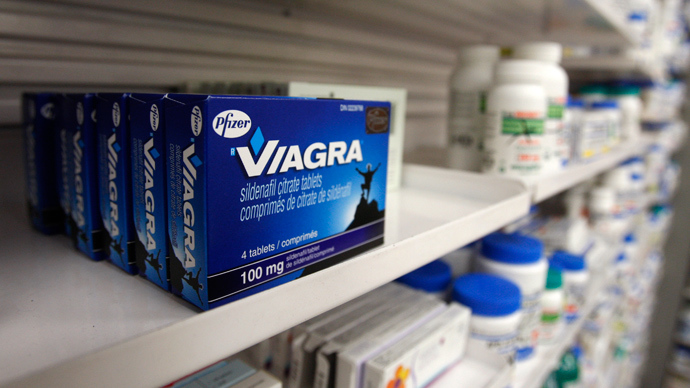 The pre-clinical study which was led by the US University, and published in the Journal of Cellular Physiology, used a drug combination - with Viagra being one of its elements - to target GRP78 and related proteins. As a result, researchers managed to prevent replication of a variety of major viruses in infected cells, and made some antibiotic-resistant bacteria vulnerable to common antibiotics. Evidence that brain cancer stem cells were killed was also found. "Basically, we’ve got a concept that by attacking GRP78 and related proteins: (a) we hurt cancer cells; (b) we inhibit the ability of viruses to infect and to reproduce; and (c) we are able to kill superbug antibiotic-resistant bacteria," said the study’s lead investigator, Paul Dent. After studying the effect in cancer cells, the researchers applied the same drug combination to target the protein for infectious diseases. Viral receptor expression on the surface of target cells was reduced, which decreased infectivity, and replication of a virus in infected cells was also prevented. By proving GRP78 to be a "drugable" target, researchers say the findings open new possibilities in treating various viral infections - "that certainly most people would say we'll never be able to treat." According to Dent, scientists already know that in mice the same Viagra treatment can kill tumor cells without harming other tissues, and the next steps in further discovering the possibilities of the method have already been taken.